There are, it turns out, two places in New England named Salem, one in New Hampshire and one in Massachusetts. I learned this on Saturday morning when I woke up in the wrong one. 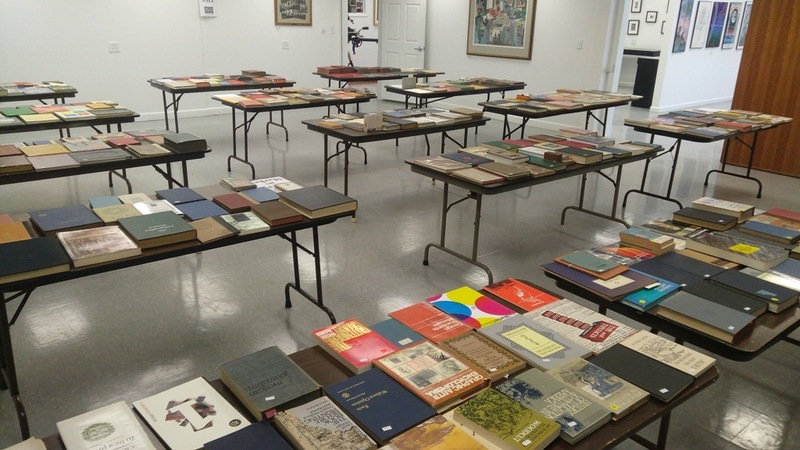 My plan for the day was to attend a book sale at the Museum of Printing in Haverhill, Massachusetts. And so I booked myself a room at the Merchant Salem, a smart looking hotel downtown. On Friday afternoon I dutifully followed Google Maps’ driving directions to Salem, arriving around supper time; a night of merriment ensued. 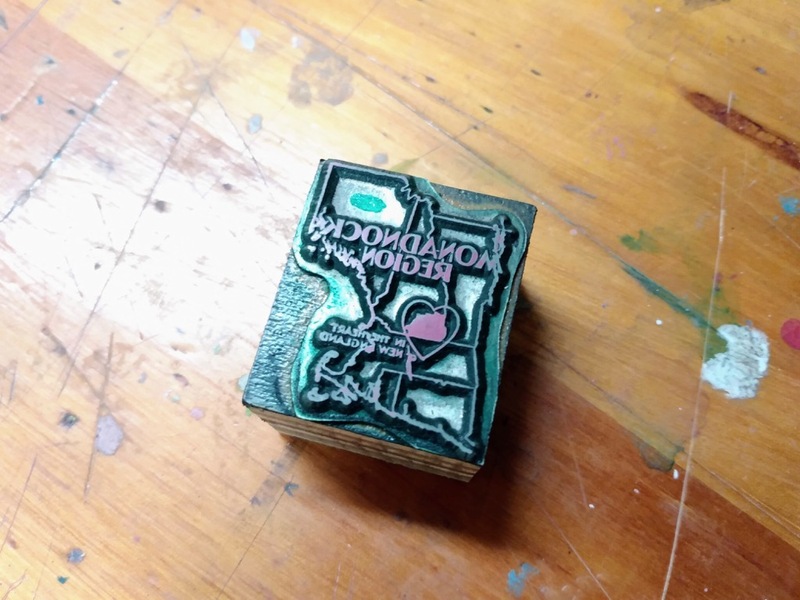 On Saturday morning I woke up, had breakfast, and then asked Google Maps to take me to the Museum of Printing. Which, it turned out, was not just a hop, skip and jump next door, but rather nearly an hour’s drive north. Near the other Salem. The one in New Hampshire. The error of my ways was twofold. 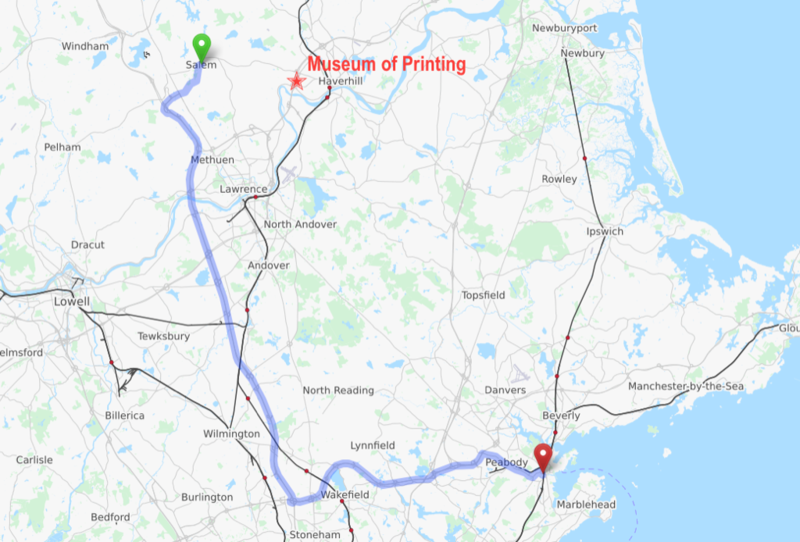 First, I reasoned, naively, that if the Museum of Printing was in Massachusetts, then I should–obviously–stay in Salem, Massachusetts. Second, I paid no heed to ground truth, instead relying entirely on Google Maps to route me around. And thus developing no “lay of the land” that would have shown me immediately the error of my ways. Fortunately, the only penalty for my foolishness was driving an extra hour up and and extra hour back. I enjoyed the Museum of Printing nonetheless. And maybe even a little more for the effort. The museum, since my last visit in 2011, when it was located in North Andover, has relocated to a smart new location in Haverhill. The books on offer ranged from type catalogues to biography to books that were simply examples of fine printing. There were an uncommon number of books about Benjamin Franklin, and almost as many books about Gutenberg, not surprising given the Boston birthplace of the former and the historic contributions of the later to the printing trade. Goudy was also well-represented in the book sale and, as a longtime Goudy fanboy, this made me happy. 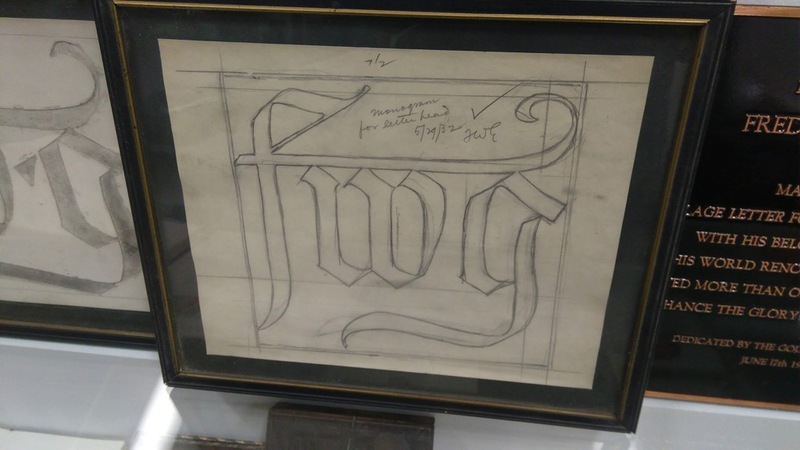 And allowed me to return home with several Goudy-related items in my satchel. 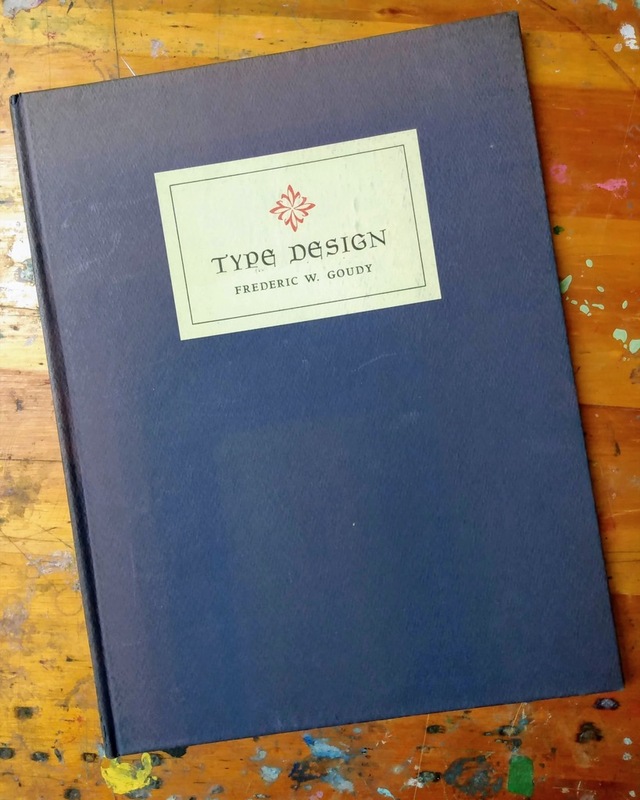 The first was this book, Type Design, a 1961 edition produced by The Press of the Good Mountain at the Rochester Institute of Technology. 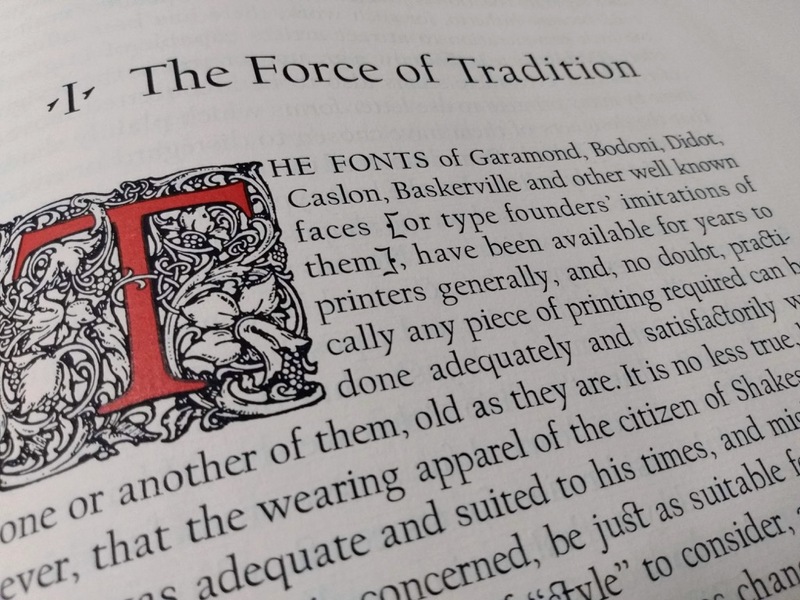 The book is set in Goudy’s Medieval and Californian typefaces and 100 were produced. A man who knew the insides of many books, he also cared about how a book is made, and encouraged graphic artists in the 20th century renaissance of American book design. 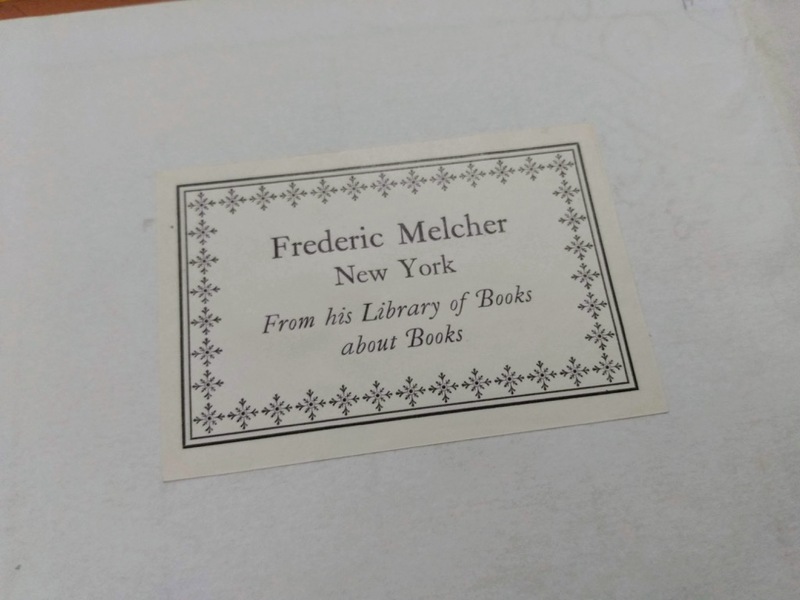 Mr. Melcher was a man who liked to put things in a historical perspective, and began collecting books about books almost as soon as he entered the business. 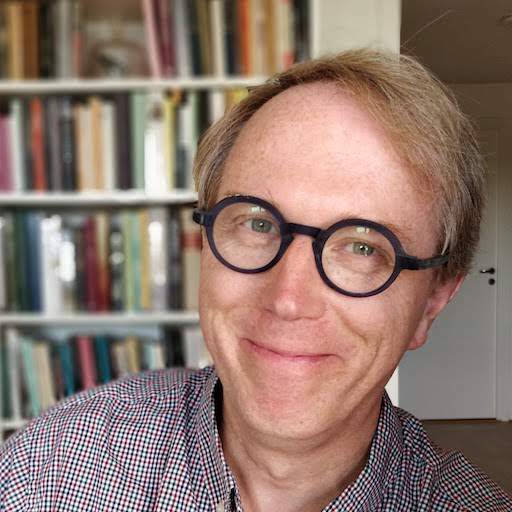 More importantly, he encouraged young researchers and other scholars to use his collection in writing about book trade problems and history. He assembled noteworthy collections, too, in the fields of fine printing and children’s literature. As a personal publishing venture, he issued facsimile editions of several miniature books first published in Colonial America. Much of Mr. Melcher’s accomplishment stemmed from a capacity to crystalize the essentials of an issue or an idea, and then, with infectious vigor, to impel groups of people to take action. I only hope that some of that infectious vigor rides with the book. 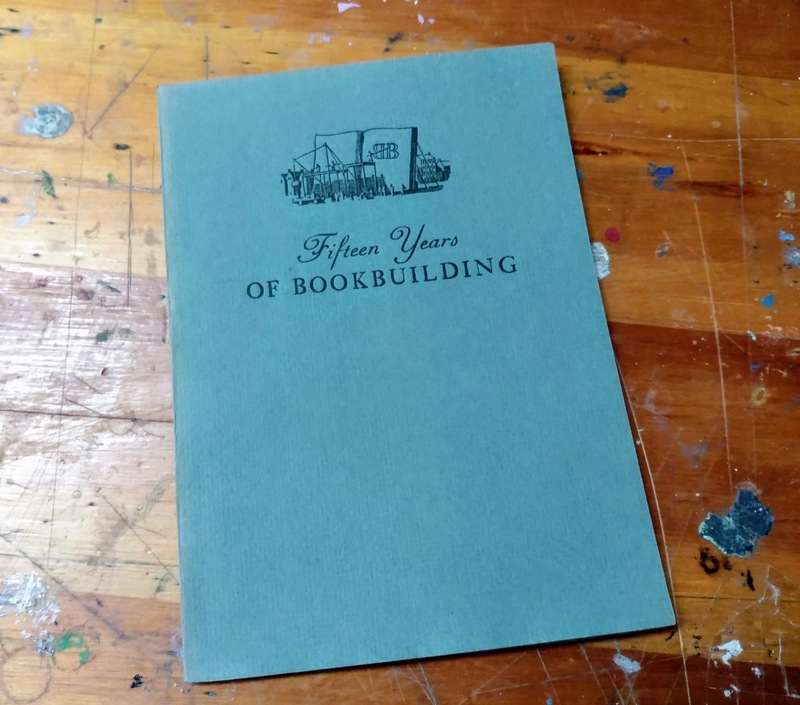 My final purchase from the book sale was a small book, priced at just $1, titled Fifteen Years of Bookbuilding, that jumped off the table at me for the craft that went into its creation. 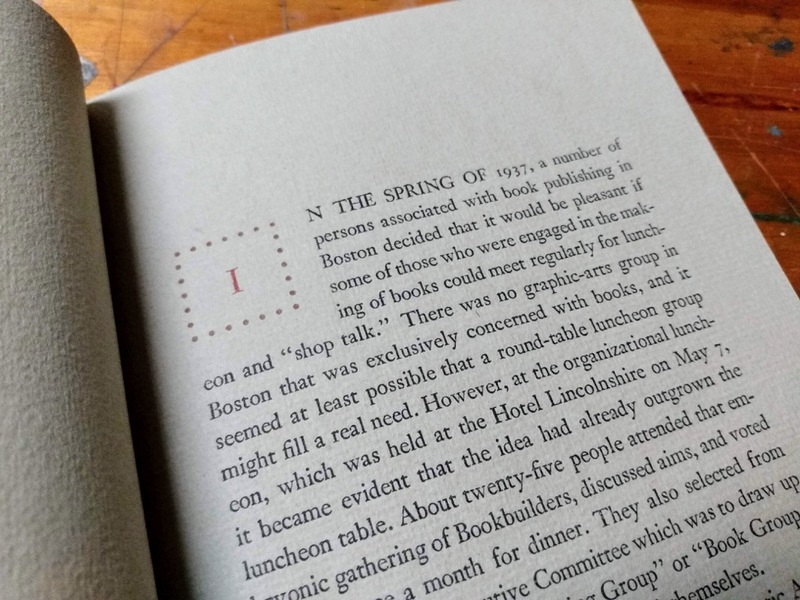 The book was produced in 1951 to mark the 15th anniversary of The Bookbuilders of Boston, an organization that, remarkably is still very much alive. 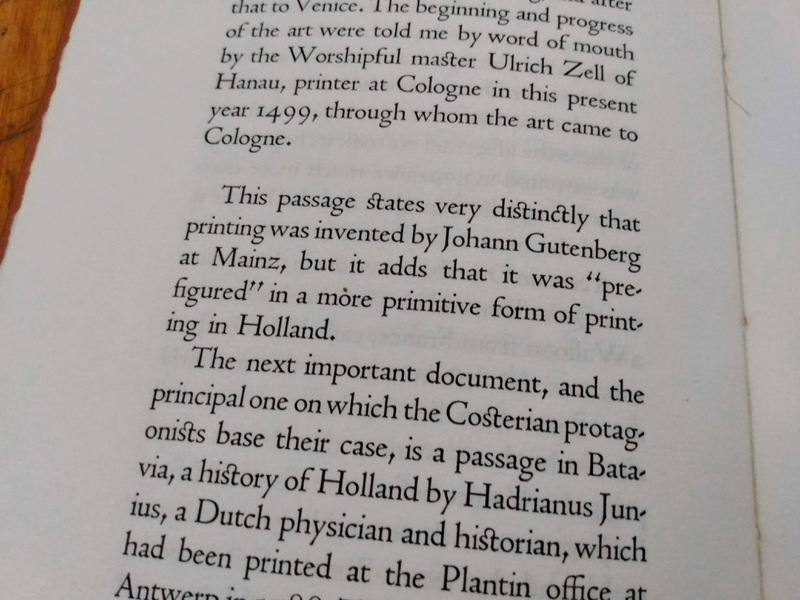 The book was a group project, and is printed on very pleasant paper and is beautifully set in an uncredited typeface. 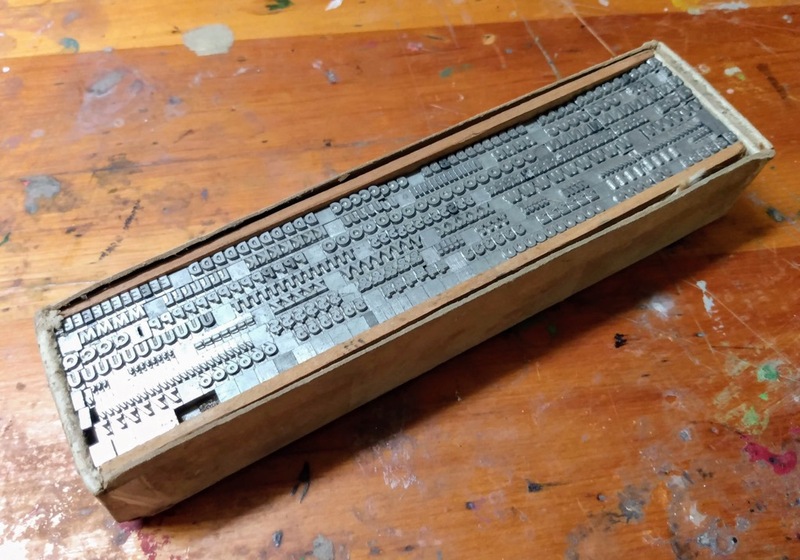 Once I’d spent 90 minutes in the book sale, I adjourned to tour the museum itself–an excellent overview of printing history, plus a printing workshop and a sizable library. I then finished my visit with a trip to the museum’s well-stocked shop. 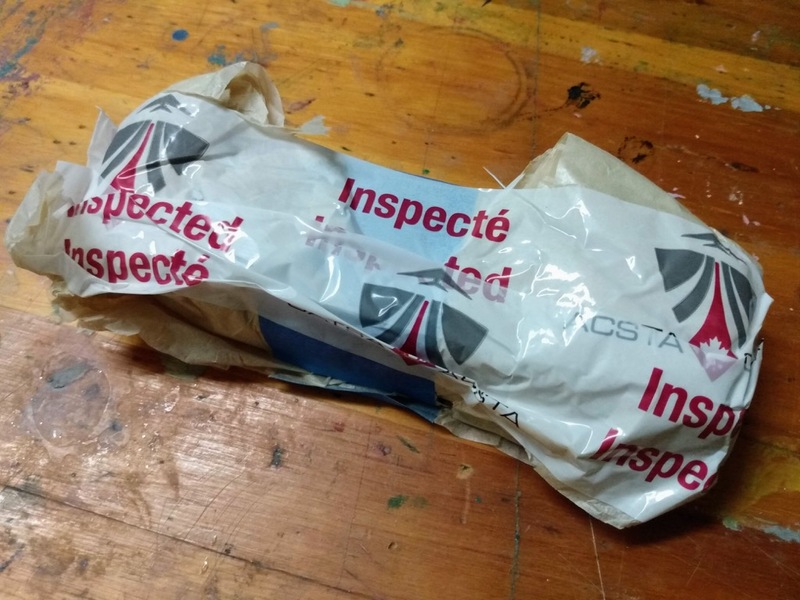 I’m happy to report that the agents from both agencies were careful and accommodating my requests to not spill the type, and it arrived home in good sorts. After two hours of shopping and browsing, I finished up my visit with a chat to the voluble and friendly volunteers at the front desk and bid farewell, happy that, despite having bunked in the wrong Salem, I’d found my way. Written April 8, 2019 at 5:18 p.m. I made a similar Salem error a few years ago. I wanted to attend the Blues Brothers Review at the Flying Monkey in Plymouth, NH and Mayumi wanted to go on the evening walking tour in Salem. Easy, I thought, it's on the way, only to discover the Tale of Two Salems and that our schedule did not allow both. I went to the show, which was well worth it for any Blues Brothers fan. We have yet to visit Salem, Mass.